Stewarts of America provides Pins and Pinned Products, Technical Textiles and Perforating Technologies to industrial customers around the world. 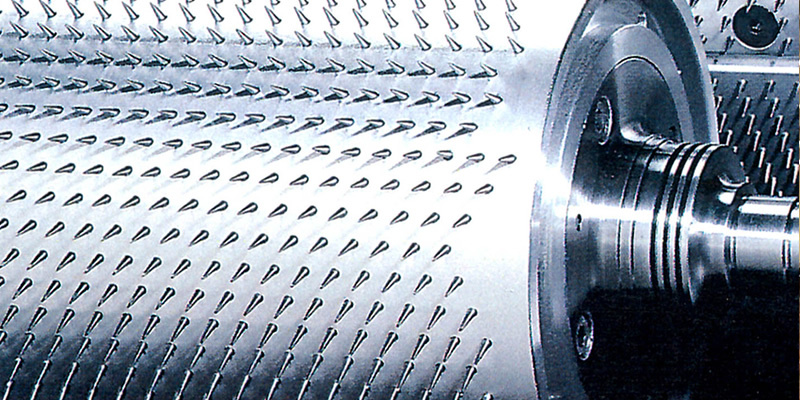 Solutions include Toll Perforating, Anvil Rolls, Brush Rolls, Urethane Rolls, Grooved Rolls, Felt Rolls, Idler Rolls, Embossing Machinery, Standard Pins, Custom Pins, Precision Pinning, Pet Grooming Combs, Non-Woven Textiles, DREF, Waste Opening, Blow Room, Carding, Drafting, Combing, Open End, Finishing, Weaving, Hole Punching and more. Stewarts of America is an innovative solutions provider specializing in Pins and Pinned Products, Technical Textiles and Perforating Technologies. Stewarts of America, Inc. leads the world in pinned product innovation. We can precisely place any of our pins into just about any tooling you may require. Low or incredibly high populations, Stewarts of America is known worldwide for our highly accurate pinned tooling. Our tooling is used in industries such as Automotive, Aerospace, Packaging, Technical Textiles, Composites, Graphic, Gypsum, Industrial, Medical, Films, Foils, Papers and more. Stewarts of America has in-house perforating equipment, and a network of toll / contract perforating facilities. This provides our customers with the ability to quickly go from R&D to knowing exactly what they require. Once the specifications have been established, the customer can continue to contract perforate, or can purchase their own tooling and machinery to perforate in their own plants. 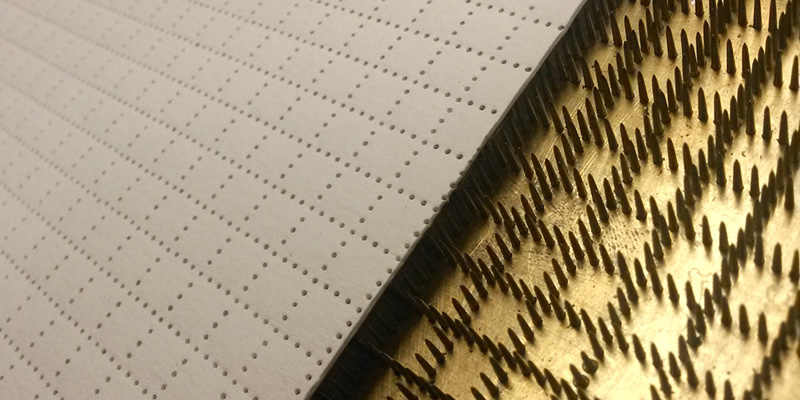 We invite you to take some time to look over the various perforating solutions outlined in this website, and contact us no matter how unorthodox your perforating requirement may be. We work with both large and small companies, domestic and international. From Fortune 500 with huge quantity demands to small business that have niche, low volume needs. Our experienced team can provide solutions for almost any application with complete confidentiality and are here to partner with you. We are a standard supplier to over 35 machinery makers, and regularly export our products and solutions to customers in over 50 countries. Stewarts of America manufactures and supplies a wide variety of metallic pins for a wide range of applications and industries. 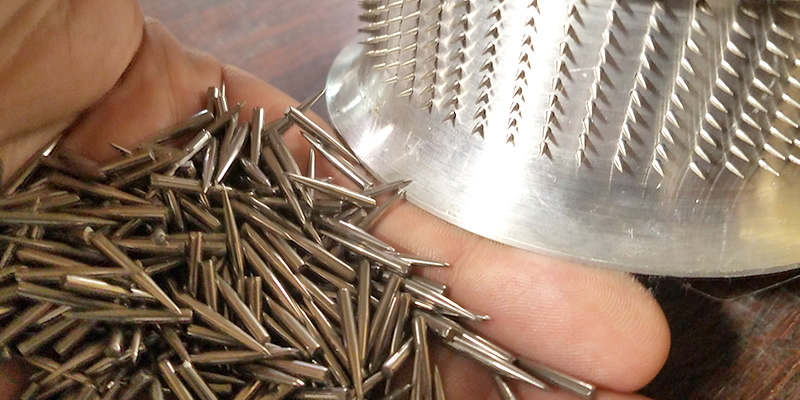 Our pins are produced with the tightest of tolerances utilizing the latest CNC machinery and production techniques. We have a wide array of options and on the shelf choices, as well as the capability to manufacture just about any style and size pin you require. We specialize in placing Nano, Micro and Macro holes in materials, utilizing both conventional and unconventional technologies. We have the capacity to design, machine and fabricate anything from simple hand tooling to turn-key perforating solutions, complete with unwinds and rewinds, sheeting machinery, or other automated methods of loading and unloading materials. Stewarts of America has long been involved in all sectors of the textile industry. Our company has experience in development, design and innovation of pinned products for many textile applications. We also have the ability to refurbish and rebuild existing textile machinery. We have worldwide partnerships and representation to be able to assist you, no matter where you are located.